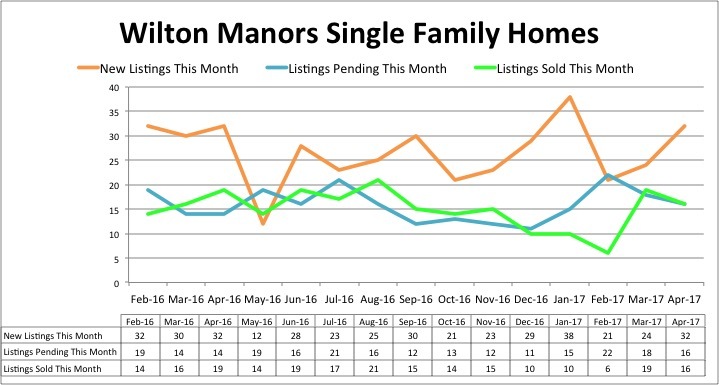 Inventory in Wilton Manors continues to lag behind other surrounding areas. The higher priced home values result in longer than average times to contract and for the past few months, a buyer’s market exists for single family homes. Price levels, while showing some increase over the past 12 months, are generally even with 2016 prices. 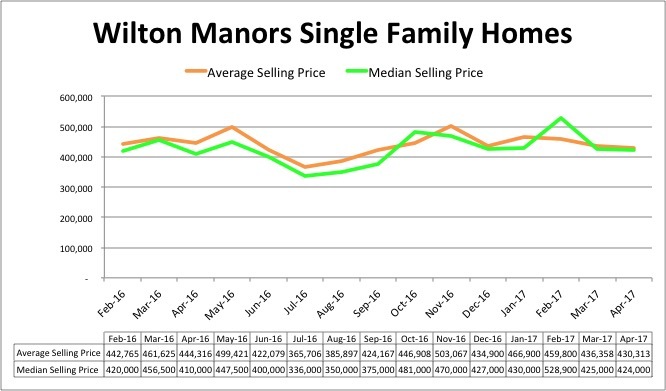 Values for Wilton Manors homes in the past have appreciated higher than surrounding neighborhoods, but buyers are no longer willing to pay the premium for a Wilton Manors address. 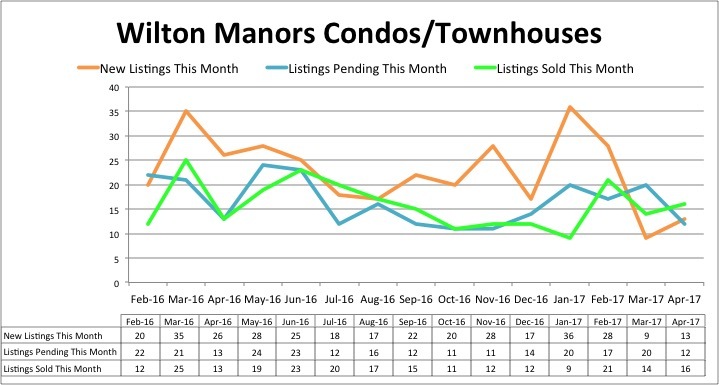 The condo market in Wilton Manors resulted in more sales than in 2016, but inventory levels continue to drop. A result in the drastic reduction in distressed properties, but also current owners are not selling to trade up to a larger condo or move into the single-family home market. 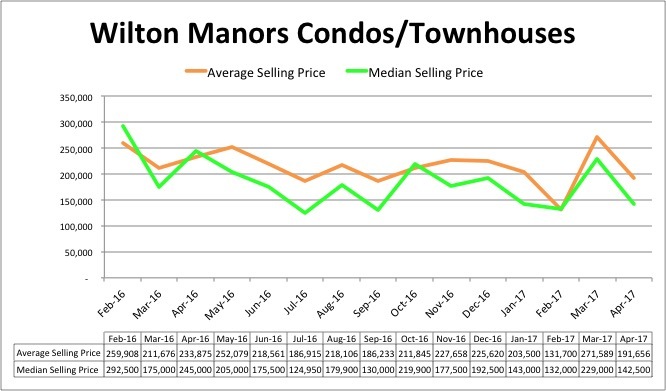 A few lower priced condos in April have dragged down the average and median prices. Excluding those lower sales increases the average and median prices for April 201 by 5%.